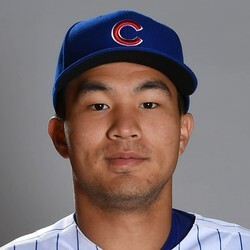 Jen-Ho Tseng was knocked out of his previous 2017 start earlier this month after giving up five runs. Thursday, he pitched the last three innings without giving up a run to earn the victory in an 11 inning 2-1 victory. He is one of the best minor league pitchers for the Cubs. He is not a flamethrower but he has five pitchers and has been compared to Kyle Hendricks. We shall see what he becomes in the future.